Twain, 2445 N Milwaukee Ave, Chicago. 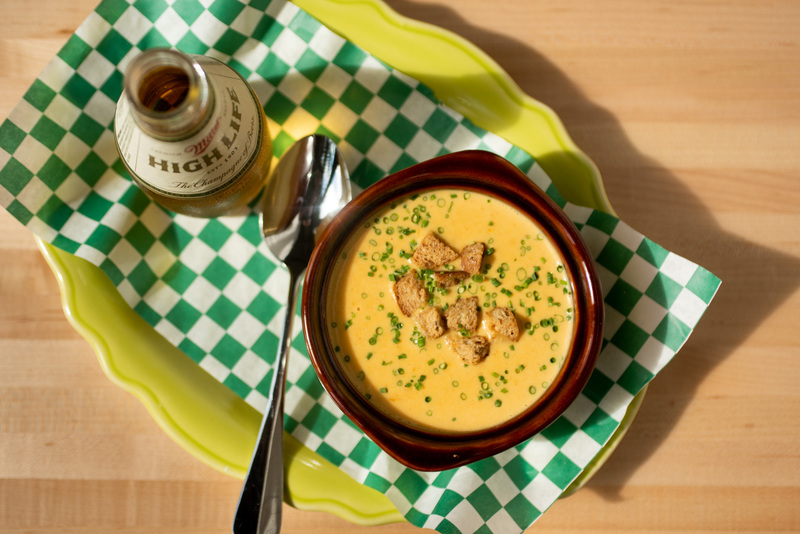 Beer cheese soup with rye croutons and Miller High Life back. For the Reader, Jamie Ramsay PE.